Your challenge is to get creative with using redstone. 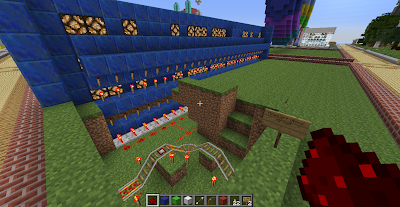 Can you teach our readers how to build something amazing using redstone? Trivia: Unlike other minerals, redstone is the only mineral in Minecraft which is totally fictional. Check out this glossary for real life electricity words. Learn more: about electricity at Kids Corner. 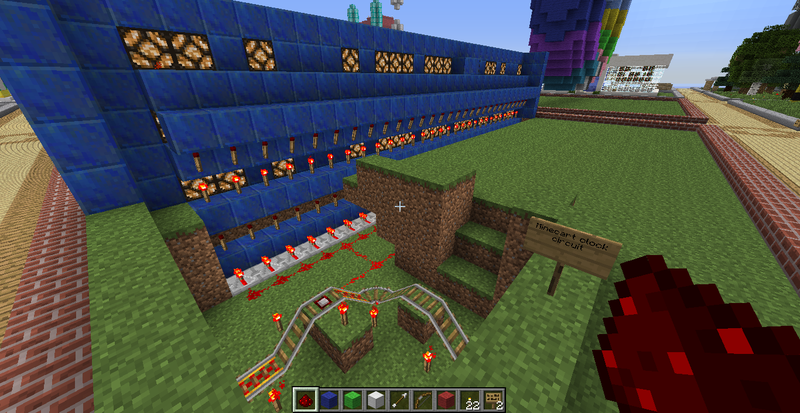 The Welcome sign in the Creative World on Mindcraft Kids Server, driven by a minecart clock circuit. This weeks challenge was suggested by Jack and Samuel on the ideas wall, thank you. I'm going to try to do redstone because I'm no good with it! I congratulate you Cameron for trying something you are not yet good at.